Deshler, still called by many "The Crossroads of the B&O". This is where the B&O Toledo Line crossed the B&O mainline. 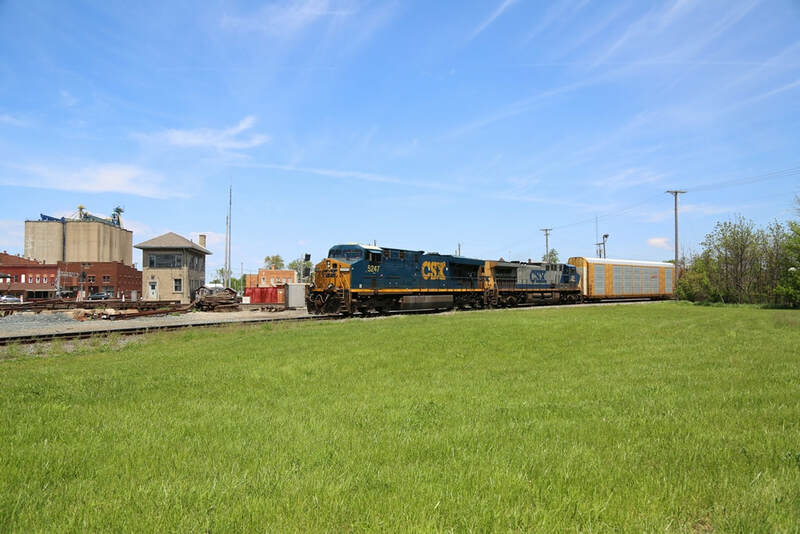 Today, CSX Transportation owns and operates both lines. The mainline hosts a good 40 trains during a 24-hour period, the Toledo line will see 10-15 during the same time span, mostly to/from the south. Only a few trains daily operate north of the diamond. Crossroads Park was begun by a few local railfans. The grass area to the south side of the mainline, and the westside of the Toledo line is the selected park. 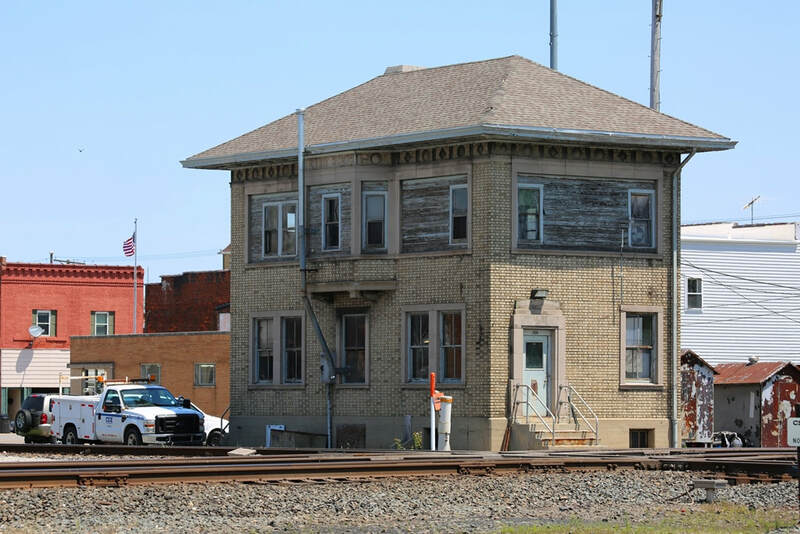 Just across the tracks from the park is the old B&O Deshler train station, a classic B&O building that has been siting for several years with a huge hole in the structure due to a car of a derailing coal train landing inside the building. Its been a polical debate ever since the derailment, the building is too historical to demolish, but too costly to repair at the moment. Across the single track Toledo Line from the station is Desher Tower, closed in 1988, this tower is still used by CSX M of W crews. 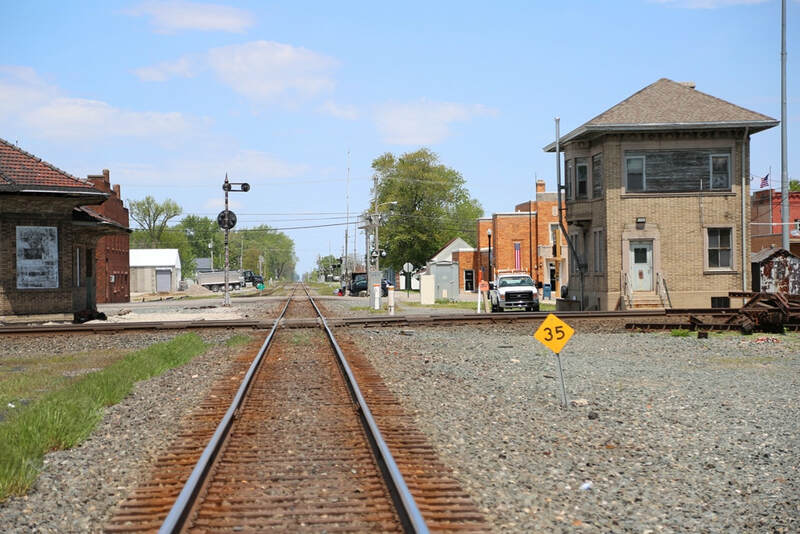 The small town provides a relaxing place to watch trains. 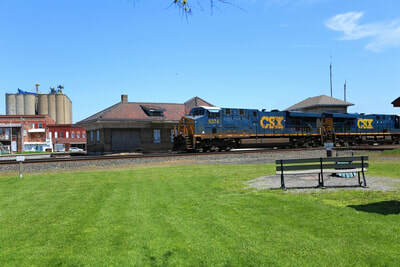 The wide open area provides several angles to capture the trains on photo or video. Rail Traffic: Expect around 40 trains on the mainline, and around 10+ trains daily on the Toledo line, most of which are to/from the south. 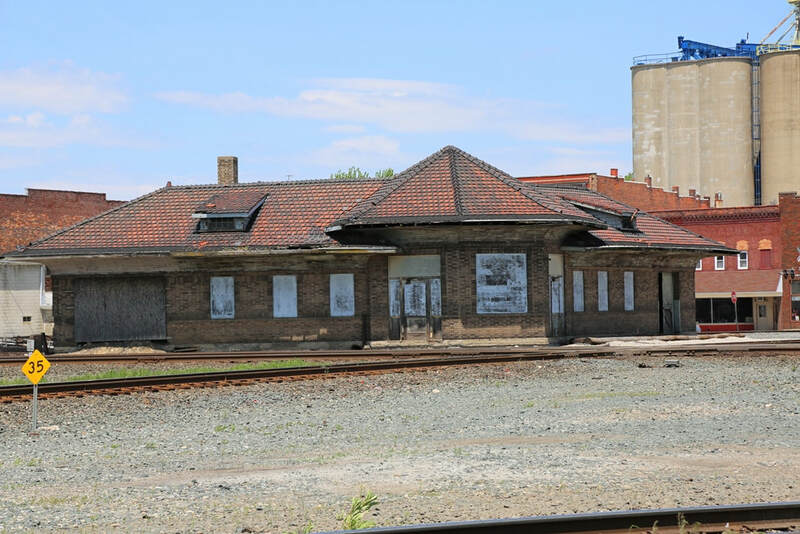 Site Details: A railfan park built on the southwest side of the Deshler diamond. The park is an open grass area with a picnic pavillion which is handy during inclement weather. The park is located between the diamond and the southwest transfer track, meaning trains can pass you on all sides, just not at the same time. Restrooms on site: Yes, Port-A-John located on site. Food: A sandwich shop and a mini-mart are located just across the tracks. Picnic Area: Yes, covered, with a barbarque on site. Parking: Free on-site parking in a gravel parking lot. Yes, you can sit in your automobile and wait for trains. Lighted for evening railfanning: Yes, floodlight provides night train-watching. Scanner Frequencies: There is a scanner on site, turned on 24-hours a day. RM Dispatcher 161.370 (Deshler west) / BD Dispatcher 161.520 (Deshler east and wyes) / AR Dispatcher 160.290 (Deshler north and south) / 160.2300 (Road) This is for both mainlines. Motels / Hotels: There are no motels in Deshler. The nearest motels are in North Baltimore, Ohio. The closest railfan motel is in Holland, Ohio, about an hour north. Notes: There is a facebook page https://www.facebook.com/DeshlerCrossroadsPark/ and Virtual Railfan streams live video on Youtube, there is a camera with a dedicated view if the diamond, and a 360 camera controlled by mods to swing about to view trains taking the wyes as needed. Both pages maybe helpful prior to a visit.